Join us as we begin a new SDG (Soli Deo Gloria) Bible study on the first Sunday of the New Year. Our focus with this new study will be "The Great Women Of the Bible." This will be an 11-week study of the extraordinary women that our found in the pages of both the Old and New Testaments. An additional home study of the same lesson is presented on Thursday at 6:30pm - please contact the church office for specific location details. All are invited to attend! Copies of the Bible study can be picked up in the office during normal office hours, or printed out through our website at home. Watch Our Sermons Live Streaming on Facebook! We hope you subscribe and tune in each week! Videos will also be saved for viewing on our facebook page after each sermon. Simply click on the link for Videos on our page to access each video! 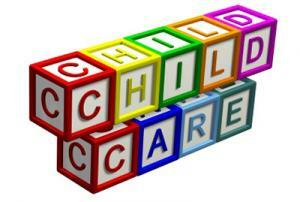 We are now accepting enrollment applications for our Zion Childcare Center and Preschool. Please call Jennifer Sawyer at (209) 369-1919, or email director@zlc.org for more information. You can also get information and download the admission and enrollment application from this site by visiting the "Child Care Center" module located on the home page.